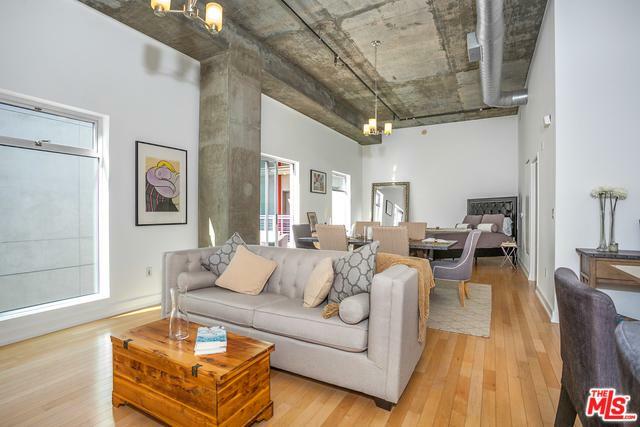 This fantastic penthouse residence at Market Lofts boasts ceiling heights of over 12-feet (exclusive to the penthouse level), hardwood floors, and exposed concrete walls, posts and ceilings. 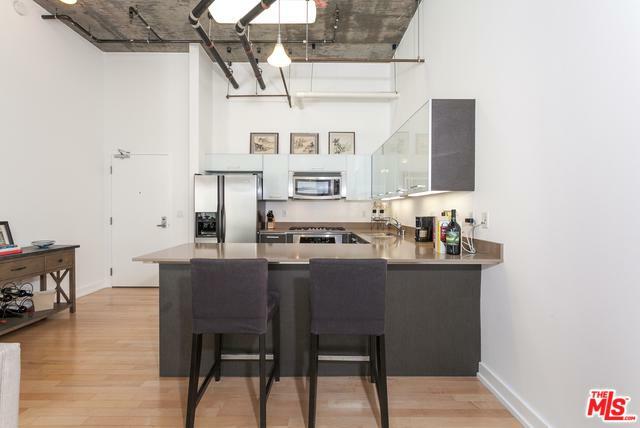 This west-facing unit basks in natural light and fresh air courtesy of it's wall of windows, and a large balcony, ideal for al-fresco dining while enjoying the cityscape and kaleidoscope of colors of a sun-setting sky. 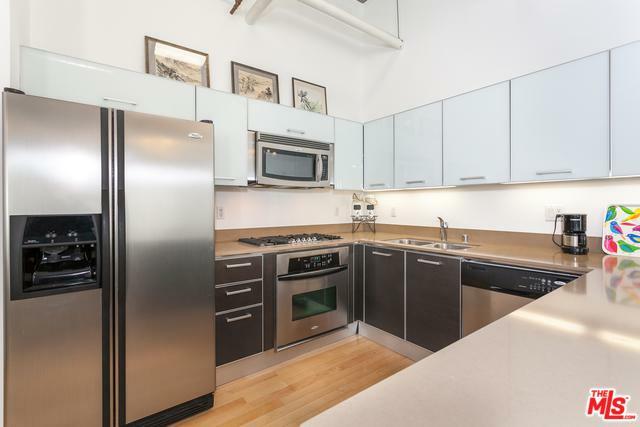 The open and modern kitchen features European cabinetry, stainless steel appliances, and quartz countertops The unit is grand and open, however a private bedroom can easily be created with the mere addition of a dividing wall. The bathroom features a large tub/shower and a huge walk-in closet. 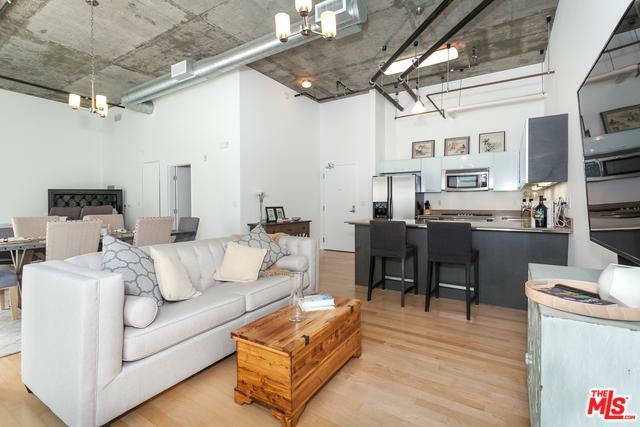 Completing this urban oasis is an in-unit washer/dryer and reserved parking space. Amenities include a pool, spa, fitness center, media room, resident's lounge, and 24-hour security. At the center of South Park, atop Ralphs and blocks from Whole Foods and upcoming Apple and Erewhon stores. Listing provided courtesy of Kerry Marsico of The Agency.